This item is sold as a package of 10 sets. Description: John James Beading Needles are very fine needles with long eyes. Needles have a degree of flexibility which ensures the ease of threading the bead onto the needle and assists the crafter to continue adding beads and changing direction of their work. Package contains 5 size 10, 2 size 11, and 3 size 12 beading needles. 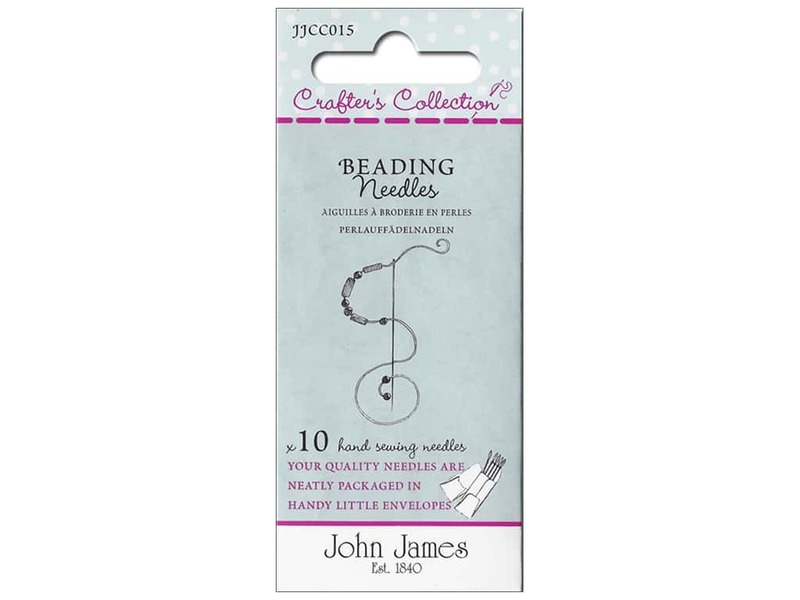 See more John James Beading Needles.